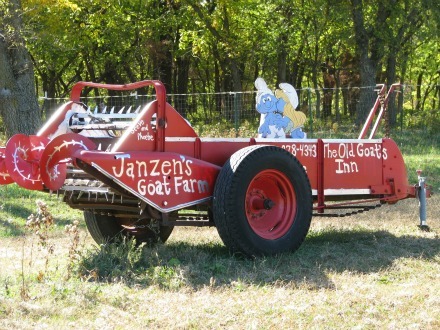 The McCormick Manure spreader from the 1940's is a working spreader that advertises the Janzen Fainting Goat Farm. 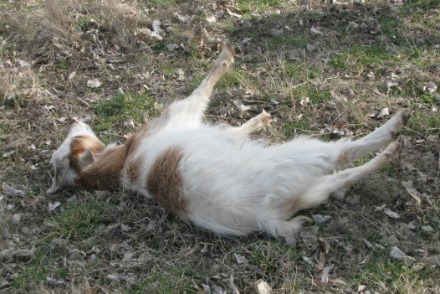 Steve and Phoebe Janzen have been raising fainting goats since 2003. Lydia faints stiff as a board when startled. Widget and Winnifred, twin fainting doelings provide hours of entertainment.